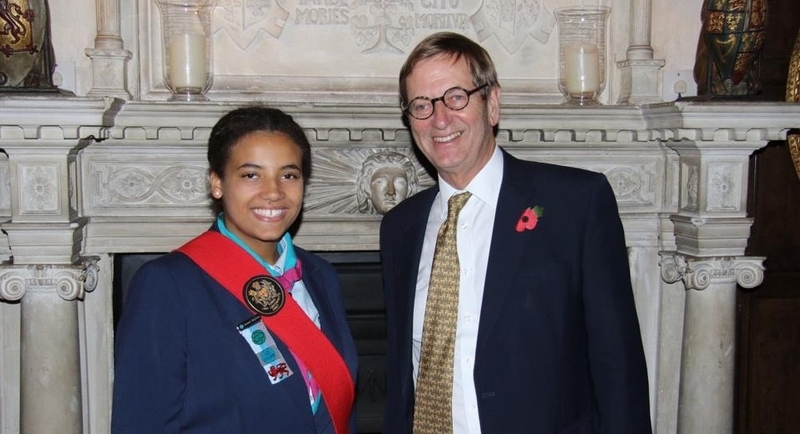 On the 31st October at Loseley House in Guildford five volunteers of Surrey youth groups (Girlguiding, Scouts and Army Cadets) were officially made Lord Lieutenant Cadets by receiving sashes which were passed down from the previous year’s cadets. A Lieutenant Cadet has the honour of serving the Lord Lieutenant of Surrey for a year in many events such as Queen’s award presentations in voluntary and enterprise and royal events. The Lord Lieutenant is appointed by HM the Queen to be her representative for that area. The current Lord Lieutenant of Surrey is Michael More-Molyneux who has a vast involvement in inspiring organisations and charities across the county. 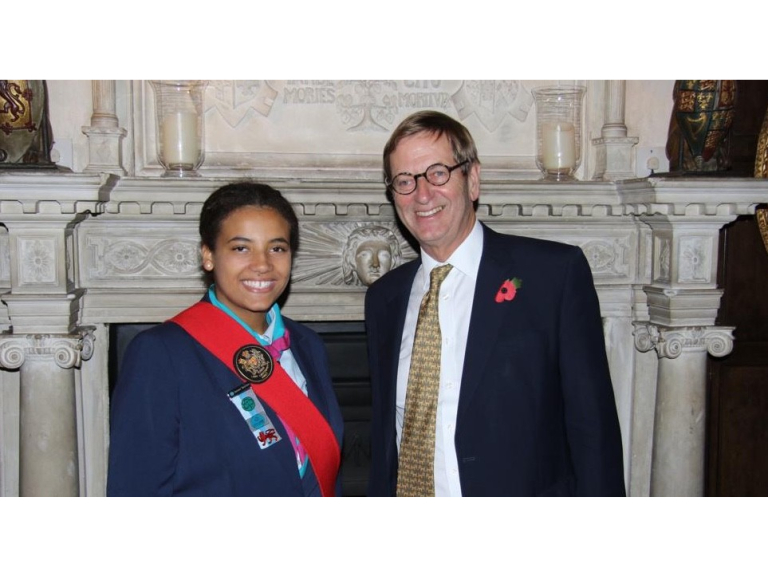 Samantha Foster, 17 from Stoneleigh, a Young Leader with 1st Ewell Village (St Mary’s) Brownies in Giriguiding Epsom Division has been awarded the role of Lieutenant Cadet. The Lord Lieutenant has been around since Henry VIII the Sheriff had been responsible for maintaining order in the county and for using military measures when needed to defend Surrey and the people. In Tudor England, Henry created the role of Lord Lieutenant to take over those duties and to control the military forces of the Crown. The first record of a Lord Lieutenant of Surrey was in 1551 – William Parr KG, Marquis of Northampton. The Regulation of the Forces Act in 1871 that direct control of the military was transferred from the Lord Lieutenant back to the Crown despite this, the Lord Lieutenant still has army connections with the volunteer reserve forces and the army cadets as well as numerous charities. 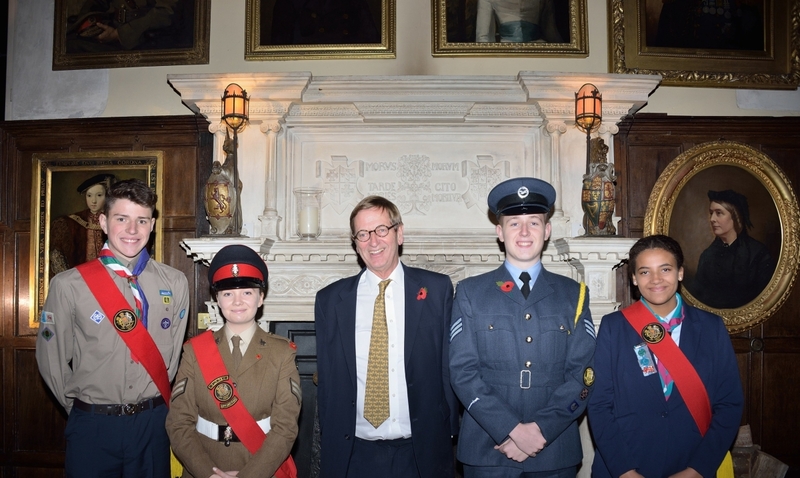 Pictured: Samantha Foster with Michael More-Molyneux and the other new cadets.